The Mayan city of Copán as it exists today is composed of a main complex of ruins with several secondary complexes encircling it. The main complex consists of the Acropolis and important plazas. Among the five plazas are the Ceremonial Plaza, with an impressive stadium opening onto a mound with numerous richly sculptured monoliths and altars; the Hieroglyphic Stairway Plaza, with a monumental stairway at its eastern end that is one of the outstanding structures of Mayan culture. On the risers of this 100 m, wide stairway is more than 1,800 individual glyphs which constitute the longest known Mayan inscription. The Easter Plaza rises a considerable height above the valley floor. On its western side is a stairway sculptured with figures of jaguars originally inlaid with black obsidian. From what is known today, the sculpture of Copán appears to have attained a high degree of perfection. The Acropolis, a magnificent architectural complex, appears today as a large mass of rubble which came about through successive additions of pyramids, terraces, and temples. The world’s largest archaeological cut runs through the Acropolis. In the walls of the cut, it is possible to distinguish floor levels of previous plazas and covered water outlets. Copan is undoubtedly one of the most significant Mayan sites in Mesoamerica and most important cultural site in all of Honduras. While not as large as other Mayan sites such as Tikal, it is reasonably large in its own right and also has one of the best collections of Mayan stelae in the world. The quality and detail which can still be seen in the stones can be found in few other places. The site is situated only 15 km from the Guatemalan border which makes it easy to visit if you are visiting other sites in the region. Tours and transportation can easily be had from the city of Copan Ruinas. Given the size of the site, you might want to dedicate 3-4 hours to explore the ruins. There is also a museum on site which can be entered for an additional fee. The Maya Site of Copan is a cultural UNESCO World Heritage Site in Honduras. It was inscribed in 1980 and is a pre-Columbian ruin. This is one of the most valuable sites from the Mayan Civilization and was dated back to the Classic era, which is around 5th to 9th century AD. The site was already abandoned by the year 900. The site features a main Mayan complex that is made up of an acropolis. There are also five plazas, temples, altar complexes, and courts that make up the Maya Site of Copan. 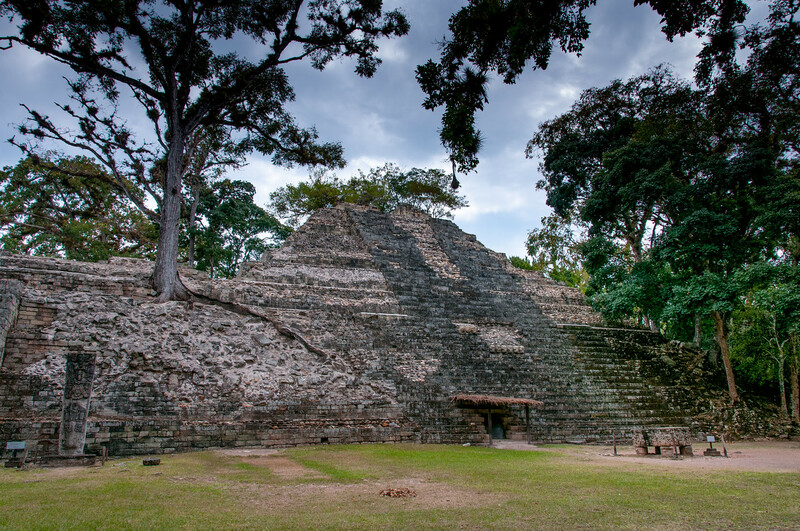 The Maya Site of Copan is considered as one of the most spectacular cities to come out of the Mayan civilization. This is a ruined complex that is estimated by archaeologists to have been built from 400 and 800 AD. This site has been known since early 19th century but excavations only began in 1975. To this day, the excavations are still ongoing at the site in an effort to understand the mystery behind this lost city. 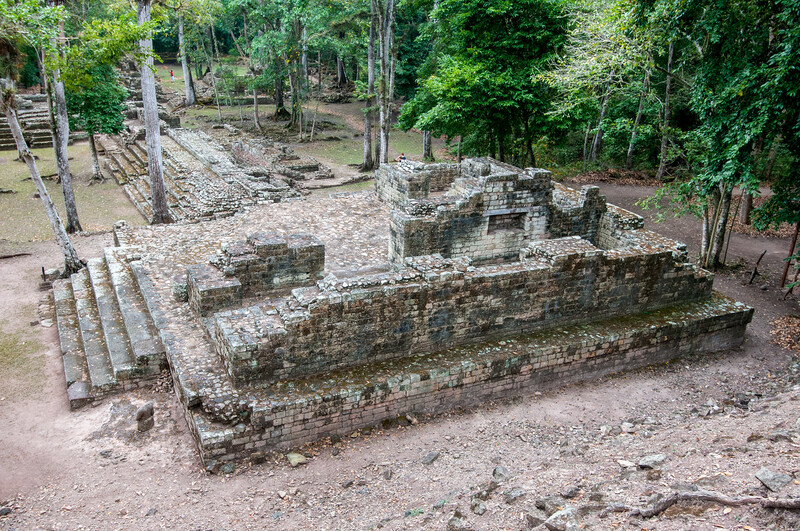 The research studies have shown that the Maya Site of Copan was abandoned after it suffered from instability in 800 AD. The constant droughts had caused destruction to the vital crops in the area. At this point, the population in the area also experienced exponential growth. The dwindling resources can therefore unable to keep up with the growing number of population. For this reason, the city became abandoned by the residents. To this day, little is known about the rulers of the old city of Copan. 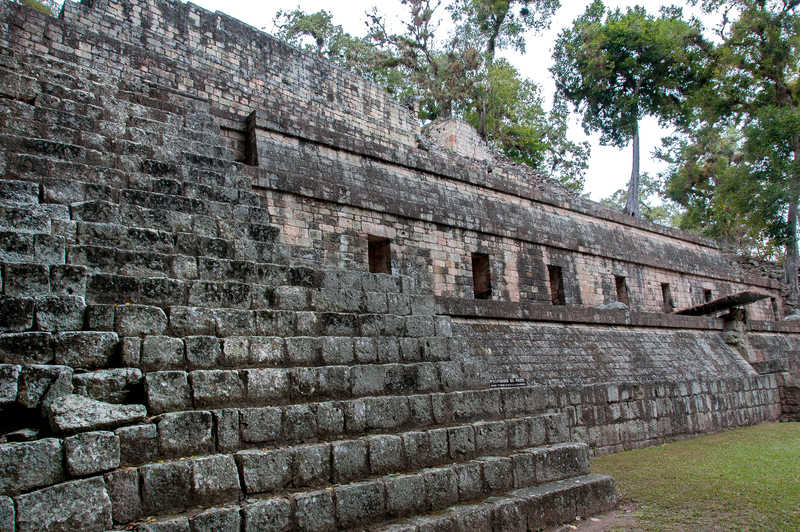 To visit the Maya Site of Copan, you must travel 1 km from the east of the town of Copan Ruinas. It is located about 60 km from the Guatemalan border. The entire complex of Mayan ruins in Copan consists of 4,500 structures across 24 square kilometers in land area. This is divided into two areas: the “Principal Group” of the Mayan complex are for the nobles while the second area, Las Sepulturas, are for the residential complex. When you explore the ruins, you will also get a chance to have wild encounters with the native animal species that roam among the ruins. To visit the Maya Site of Copan, you need to pay a ticket for $15. 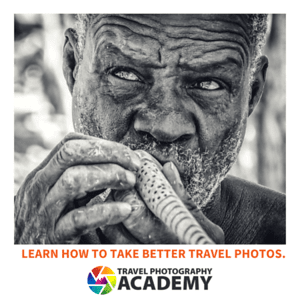 This will give you access to Copan, Las Sepulturas, and the Mayan Museum. The ruins are open daily from 8 AM to 4 PM. Since Honduras features a hot tropical climate, it is recommended that you visit early in the morning to avoid the heat. 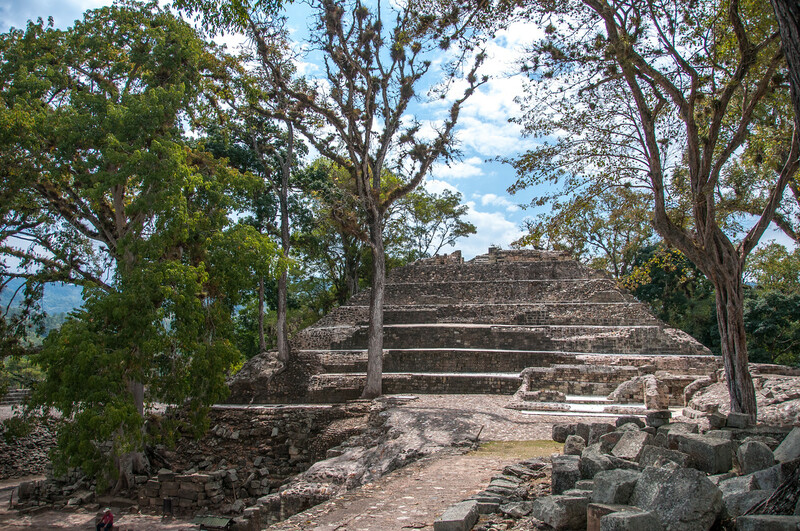 The key structures or areas within the Maya Site of Copan are as follows: The Acropolis, The Great Plaza, Stelaes, The Hieroglyphic Stairway, The Tunnels, Las Sepulturas, and the Copan Sculpture Museum. View the complete list of UNESCO World Heritage Sites that I have visited.